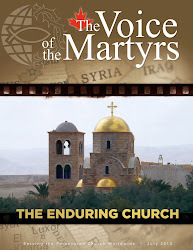 Look for the January issue of The Voice of the Martyrs newsletter in your mailbox this week! In this issue, you will meet several members of our global family who are overcoming the challenges of persecution, thanks to the assistance, provision and spiritual encouragement provided by VOM – including all who partner with this vital ministry. 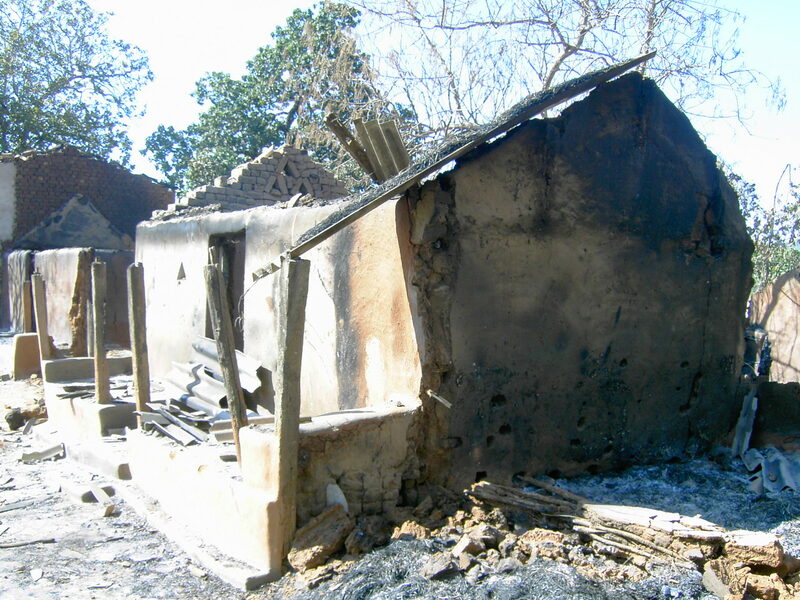 A Message from our VP of Outreach: Greg Musselman begins our visit around the world in Nigeria where Christian villages have been subjected to vicious attacks by Muslim extremists, and society’s most vulnerable members have not been exempt. You will first meet an adorable little girl by the name of Grace whose entire arm was severed during one of the attacks. Then you will hear a first-hand account of another event that took the lives of James’ parents and many siblings. Thanks to you, we’ve been able to rescue these traumatized, orphaned children and provide them greatly needed loving care. A Mother’s Sacrifice: One of the most important aspects of a Godly mother’s life is the call to raise her children in the ways of the Lord. For this mother in Malaysia, not only was she forbidden to speak about the Bible with her young daughter and son, “Samrita” has been painfully estranged from them because of her faith. Due to much prayer and spiritual support from her global Christian family, “Samrita” has been granted favour with her husband and the court system, allowing her visitation with these hurting youngsters. You Cared for My Family: When an outraged mob of about 500 villagers assembled and began chanting, “Kill him! Death for the blasphemer!” this Christian Pakistani husband and father of two encountered false charges, family separation due to imprisonment, life-threatening dangers, and the loss of employment wages. Struggling to survive, God’s intervention came in the form of a VOM representative who served as a catalyst in what would have been a serious long-term situation. A Widow’s Courage: When her devoted husband never returned home, it jolted the lives of “Rebecca” and their three children. “Ali’s” passion to share the message of Jesus in his community actually cost him his life. Adding further insult to injury, “Rebecca” was blamed for his death as she never discouraged his passion for evangelism. The future appeared bleak for the abandoned single-parent family who tried to survive within a volatile community in Iraq. Today, this widow and her children are actively sharing “Ali’s” heart for the unsaved by praying for the salvation of his persecutors. Cuba for Christ: At one time, “Andres” was a thriving Communist Party member, enjoying the benefits of serving the country’s socialistic government. However, when he decided to serve Christ instead, suddenly his world fell apart. At first, it cost him certain privileges, and then he lost his full-time job. With no money, and a family to support, “Andres” turned to a VOM representative for help. Romans 8:28 is presently a reality for the members of this Christian family...who are now joyfully pastoring a new growing church. In Albania, the first self-declared atheist state in the world, a young Christian by the name of Valerii Nasarul was arrested for boldly tattooing a cross on his hand. He wanted everyone to know from the first handshake that he stuck to his faith in God. Valerii was frustrated, however, by not being allowed to verbally tell others about God’s love. God loves us, and he has great plans for our lives. The problem is, everyone else has plans for us, too. Do this. Do that. Try this. Try that. Words of advice are cheap and plentiful. The time comes, however, when words are costly. Any time another believer encourages us to carry on with God’s call on our lives despite the consequences, we know we have heard from a godly person. Anything to the contrary, even well intentioned, is bad advice. To whom do you listen for spiritual guidance? 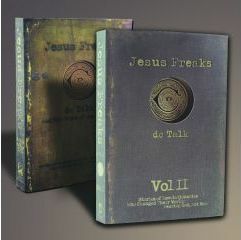 Recall and record the last bit of spiritual advice you received from a trusted friend. How well have you followed through? 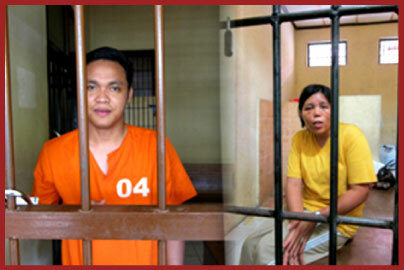 Former Bible college student Ribur and her Christian friend Roy were arrested on May 29th, 2012, and three days later, were charged with abusing Islam. Their arrest took place after being captured and attacked by a mob of villagers in Aceh (located near Sumatra), where Ribur began meeting weekly with a family of believers and reaching out to the Muslim community there. While at the village just prior to the arrest, a crowd of people suddenly gathered around the two visitors and began beating them, also lashing at them with a cattle whip. Further interrogations by the village leader resulted in more accusatory questions and beatings. Ribur prayed that the Holy Spirit would give her the strength to stand strong and testify to the truth. During her subsequent 60 days of solitary confinement, Ribur was able to read the Bible and pray. Someone unexpected took notice. A prison guard told her it was the first time they had seen how a Christian prayed and read the Bible. Since the authorities couldn't find any evidence against Ribur and Roy, they were let go. "After I was released," Ribur testifies with gratitude, "I felt that the same God who helped me in the prison was helping me still." Though the team's work in Aceh is on hold for now, she continues to serve her local church and still dreams of planting churches in Sumatra. May the Lord grant Ribur 'the desires of her heart' to continue reaching out to others with the Gospel message of Jesus by opening doors of opportunity for her to minister in Sumatra. In the meantime, pray that He will prepare the hearts of people there so they will be receptive to the good news of His eternal salvation. Also pray for continued blessings on Ribur and Roy, and their ministry team, for their faithfulness to the call even during difficult circumstances. While we eagerly enjoy generous helpings of Christmas dinner – and a variety of delectable home-baked treats – our persecuted family members are hoping for something that’s at least edible and will provide them enough sustenance to keep going another day. While we can joyously sing Christmas carols and worship our Saviour so freely in our community churches, there are families whose lives are threatened at the mere prospect of attending church. For them, what should be one of the most joyful times of year may potentially end up being one of the most painful. While we celebrate the “Good News” of our Saviour’s arrival, which took place that first Christmas day, may we also keep in mind our persecuted brothers and sisters around the world who are not so privileged. Please take a brief moment to lift them up in prayer, asking the Lord to personally minister to each of His beloved children in a very special way.... After all, that’s one of the primary reasons for Him coming to “dwell among us” here on earth. The family of Haik Hovsepian, an Iranian Christian martyred in 1994, has produced a music video highlighting the conflicts faced by many Iranian believers today and how Christians around the world can be bound with them (Hebrews 13:3). Christmas is approaching. Many brethren and sisters will spend it in Communist, Muslim or Buddhist jails. But, some may say, Christmas is a time when we sing carols and hallelujahs while many people give gifts to one another. Why trouble us with sad words about suffering? My response is that at Christmas we are supposed to remember not only that a Saviour was born, but that Mary the mother of Jesus had to give birth to Him in a stable and was forced to put Him in a feeding trough for cattle. 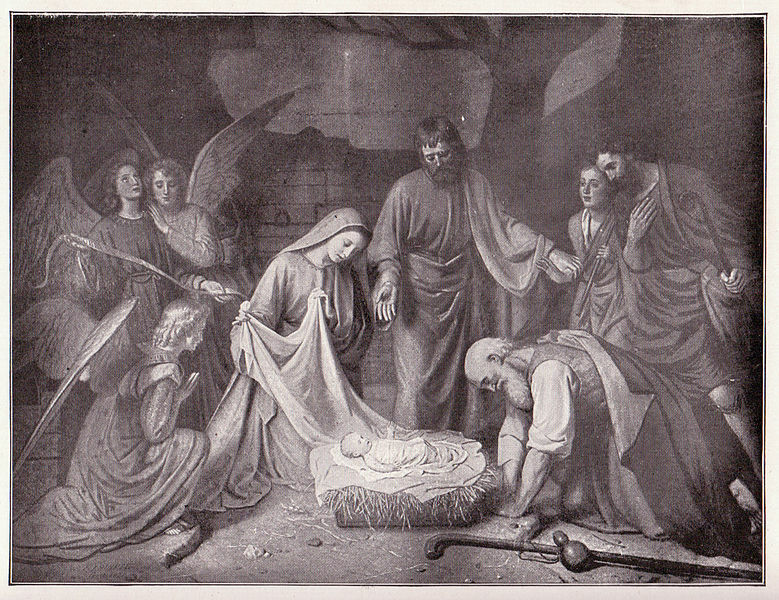 Was it really true that there was no room in the inn? Perhaps the innkeeper or some guest with no wife and child could have slept elsewhere and yielded their beds to Mary and the Christ Child. Why shouldn’t we feast this one Christmas in a place like theirs, perhaps in the poorest quarter of town, and bring our children there to tell them the Christmas story? Then the angels would sing as they did on the Judean hills. Some magi might come and, though this is unlikely, some shepherds might leave their beautiful churches and, like their forebears of 2,000 years ago, join you in an orphanage or shelter for the homeless. At the very least, remember on that evening the believers in jail for their faith. Their mothers who taught them the way of sacrifice might need you more than the pleasant, neatly dressed woman next to you in the pew. Asif’s leg was broken when a car hit him on a Pakistani street. In the midst of pain, he felt a hand on his leg. He looked up to hear a woman praying for Jesus to heal him. Asif began to get angry because he was Muslim. Then a strange energy began running through his body. His leg straightened, and the bone came back into place. He eventually walked home from the accident. Since this time, Asif’s family has disowned him, and he has been beaten repeatedly because he refuses to stop telling people about his new friend Jesus Christ. Sometimes we have to experience God’s power before we’ll believe it. In fact, many nonbelievers would rather debate religion from a distance than have to deal with a personal spiritual encounter. No one can dispute personal experience. The individual is the sole expert on the issue. To encounter God is to experience his power and feel his presence. The Bible provides many examples of nonbelievers who encountered God’s power. Some responded with worship. Others resisted his power and suffered the consequences. Either way, a person is never the same after an experience with God. It is as if God is saying to a decidedly doubtful heart, “I am God. Deal with it.” How has God shown you that he is real? With whom can you share your experience? On December 10, 2012 (Human Rights Day), Christian Solidarity Worldwide (CSW) participated in a panel discussion regarding the importance of increasing global attention on the right to freedom of religion or belief, and how the international community can translate this into action to protect and promote this universal human right. CSW continues to highlight threats to this right, including the situation of religious minorities in many countries around the world. In Egypt, a president elected as an alternative to a member of the former regime is attempting to force a draft constitution that limits the rights of religious minorities and women. In northern and central Nigeria, the Islamist terrorist group Boko Haram and its offshoots are mounting a deadly campaign aimed at eradicating Christianity, utilizing tactics that could amount to war crimes. In Burma, Rohingyas in Rakhine State has been subjected to a systematic campaign of persecution and ethnic cleansing. In Pakistan, the frequency of extremist violence against religious minorities has reached alarming levels. The fact that there is heightened concern being expressed on a unified global platform over these alarming reports of religious persecution, and that measures are being presented to proactively deal with the issue, is most encouraging for Christians all around the world. Pray that God will grant these political leaders wisdom, strength and divine strategies as they endeavour to 'stand in the gap' on behalf of those who are suffering severely because of their faith. As a result, may the victims of persecution experience God's mighty deliverance, vindication and peace in their lives and communities. Words from our founder: Which is God’s highest blessing? “I will bless you...and you shall be a blessing. And in you all the families of the earth shall be blessed” (Genesis 12:2-3). When we read in the Bible that blessings are promised to children of the faithful, some of us expect a good material position, a happy marriage, high degrees and positions of honour. But the Bible never deceives us about what is understood by “blessings.” The Lord Jesus said, “Blessed are those who are persecuted for righteousness’ sake, for theirs is the kingdom of heaven. Blessed are you when they revile and persecute you, and say all kinds of evil against you falsely for My sake” (Matthew 5:10-11). Christians know one sadness — not to be saints. They have one suffering — not to share enough of the sufferings of Christ and their fellow man. When sorrows are given to their children because they have the right attitude in life, Christians rejoice and count them as blessings. I write these things as a parent and grandparent, having searched my heart thoroughly to determine what I wish for my children and grandchild. I desire for them “the fellowship of Christ’s sufferings,” that they might be “conformed to His death” so “that they might attain to the resurrection from the dead” (Philippians 3:10-11). Obviously not everyone has to go to prison for his or her faith. That would be impossible in a free country. But free Christians can remember those who are in bonds “as bound with them” (Hebrews 13:3). They weep with those who weep. They pray for them. They fight for their liberty. They help in a practical manner. They call upon others in their church to do the same. Excerpted and edited by VOM staff from the January 1975 issue of The Voice of the Martyrs newsletter. To sign up for the newsletter, click here. In Communist Romania, every prison had a doctor who would often be present during the interrogation sessions and direct the torturer in the best methods of inducing pain without causing death. But some doctors took their oath seriously and despised what the Communists were doing. One such doctor was a beautiful Christian woman named Margareta Pescaru. All medical personnel were frisked when entering the prison, but Dr. Pescaru, at great risk to herself, was able to smuggle medicine in repeatedly. Her selfless efforts saved many lives. Once she was assigned to a prison hospital that was especially designed for tuberculosis patients. During this time, the Communists assigned men as “reeducators” to use whatever means necessary to convince a person to denounce everything they believed and pledge complete allegiance to Communism. These reeducators were ruthless, and many Christians died under their tortures. When Dr. Pescaru heard the news that they had arrived at the prison hospital to begin their destructive work on the tuberculosis patients, she did the unthinkable. She went to the top officials of all the prisons and pled the case of the helpless prisoners. No one knows how, but Dr. Pescaru gained favour with the officials. For a time in Romanian Communism, the torture of innocents by the “reeducators” was stopped, thanks to her bold efforts. Try. It’s the difference between advancing forward and remaining still. Trying. It’s what Christians are committed to doing when they are focused on the gospel of Christ. Tried. Saying at least one tried is the only way believers agree to meet failure. It’s true – we just never know what will happen unless we try it. Perhaps we too quickly dismiss the creative ideas that come to us concerning advancing the gospel message at work, at home, or in our community. We think they’ll never work. We convince ourselves that the opposition would be too strong. But we won’t know for sure unless we try it. Are you willing to try obeying Christ at any cost, starting today? On November 27, a total of 12 people were sentenced to six years' imprisonment for their involvement in the horrific communal violence committed against Christians in the Kandhamal district on August 25, 2008. These violent acts included arson, rioting and the torching of houses in Jarkinaju village, attributing to about a hundred deaths and the displacement of more than 50,000 people. It is considered the worst single outbreak of anti-Christian violence in the history of post-independence India (for more, click here). While it seems that justice is being meted out, the overwhelming majority of cases relating to the 2008 events have either been dismissed or resulted in acquittals, including many murder cases. Human rights defenders in the area are continuing in their vigil, pointing out significant flaws in the court's rulings. David Griffiths, South Asia Team Leader for CSW, concludes that this is important as the victims not only deserve justice, but also because "the rule of law is the essential foundation for peace." On behalf of the many surviving victims of these terrible atrocities, may the "Prince of Peace" continue to bring healing, restoration and the hope of a brighter future; a future filled with His ongoing presence and provision as they rebuild their lives. And in accordance to Scripture, we must pray for their persecutors who are also greatly in need God's touch upon their lives. May they, too, be drawn to the "Light of Jesus" and, as a result, come to repentance...acknowledging their need of Jesus as Saviour before it's too late. “Chant this song [a Muslim creed], or you will die,” cried the Northern Sudanese soldier. The captive Christian could see the hate in his eyes and wondered how many lives he had taken. The soldier pressed a large knife to the Christian’s throat. On the other hand, he knew the Bible taught that a person’s words have power. He recalled that one’s confession of Christ is powerful. “Would a blasphemous confession be powerful, too?” he wondered. “Even if I didn’t mean it?” The questions seemed to battle against each other in his mind. His logic fought against his love for Christ. Christians in Sudan often face such choices, and they have seen many of their friends and family members killed for believing in Christ. The martyrs chose not to chant a Muslim creed, not wanting to pollute their spirits with blasphemous songs and risk breaking God’s heart. Their defence against the logical arguments is that the Christ living within them could not sing such a song: therefore, they had to face the consequences. This same Christ living in them who would not chant along also did not fear a death threat. These believers considered themselves already dead in Christ—the Christ in them could not really be harmed. Each day we tune in to the cross-talk between logic and faith. Logic tells us to go along. Faith tells us to go against the grain of popularity. When we listen to logic, we may put our own convictions aside in order to do another person’s bidding. How often do we sing another’s song to avoid confrontation? It may be a job that requires deceptive practices. Logic tells you to keep your mouth shut to keep your job. If you sense that you may have listened a bit too long to the voice of reason, ask God to help you tune in to Him instead. Ask Him for the faith you need to wisely speak the right thing at the wrong logical moment. A 14-year-old girl in Egypt has been kidnapped and reportedly forced to marry her Muslim captor. Sarah Abdelmalek is the latest victim of a common practice of kidnapping Coptic Christian girls and forcing them to marry as part of a strategy to limit and intimidate the country's Christian population. Sarah was last seen entering a paper shop near her school in September. After Sarah's father filed a missing persons report, he received a phone call telling him he would never see his daughter again. A school friend of Sarah's says the 27-year-old paper shop owner, a member of an extremist Sunni Muslim group called the Salafists, had been pursuing Sarah. About a month after she was reported missing, a Salafist organization issued a statement saying that Sarah converted to Islam freely and married a Muslim man. Even if Sarah wanted to marry voluntarily, under Egyptian law, she would have to wait until she turned 18. A VOM worker states that at least 24 girls have been kidnapped recently, ranging in age from 14 to 21 years old (for previous report, click here). Please pray for strength on behalf of Sarah's family as they endure this heartbreaking separation. Also remember young Sarah, asking for the Lord to protect her spiritually, emotionally and physically. Throughout the ordeal, may she remain steadfast in her faith and eventually find her way safely back to her family. Let's stand in agreement together that such incidences of kidnapping and forced marriages would entirely cease. Alireza Seyyedian is a 37-year-old former Muslim who has been a Christian since 2006. Last year, security forces confiscated his computer during a raid on his apartment. Authorities then discovered video of Alireza’s baptism in Turkey on the computer. In December 2011 he was sentenced to six years in prison, for crimes against national security and propaganda against the regime. The judge stated that since Alireza was baptized in Turkey, he was trying to express the lack of freedom in Iran and was therefore was propagating against the regime. He was also accused of holding regular meetings with former Muslims and distributing Bibles among youth. They also said he had communication with Zionist satellite TV channels such as Mohabat TV and Radio Mojde and shared worship hymns he had written with them. The verdict also falsely accused him of being a member of the Jesus Only cult. On March 14, 2012, Alireza was caught seeking to flee Iran for Turkey. He was arrested and transported back to Tehran where he was imprisoned in Evin prison. He was put in Section 350 of the prison, which is where political prisoners are held. That part of the prison is run by VEVAK, the intelligence service that reports to Ayatollah Khameini and is beyond the control of Iran’s prison authorities. According to one report, the conditions of this section of the prison are unsanitary, and each cell is overcrowded with around 30 political prisoners. Please write a letter to Alireza, reminding him that Christians around the world are concerned about his situation and are praying for him. Please note: When writing a letter, never mention the name of the source of your information or the name of any organization such as Voice of the Martyrs or Prisoner Alert. 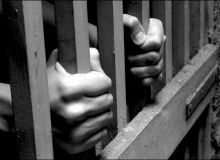 It is not dangerous for a prisoner to receive letters from individuals, but if an organization is mentioned they may be accused of links with “foreign organizations” and receive harsher sentences. Also, please do not state anything negative about their government. For more information on letter writing, click here. To create a letter using phrases in Alireza’s own language, please visit www.PrisonerAlert.com. They came without warning, out of nowhere. Evangelist To Dinh Trung was riding his bike over a rough dirt road in North Vietnam. The ruts in the road demanded his full attention. Suddenly he was surrounded by a squad of Communist police officers who pulled him off his bicycle and started beating him. They made fun of him in front of the crowd of villagers, videotaping everything. Finally, he was taken to prison and kept there without a trial. Trung had travelled hundreds of miles on his bike while ministering to the K’Ho tribe. Dozens of K’Ho villagers had become Christians after Trung visited them in their homes. But the K’Ho is one of 60 tribes in Vietnam that the government has strictly forbidden Christians to evangelize. Still, a growing number of believers have dedicated themselves to take the good news of the Gospel “outside the camp,” where no official churches exist. Some are schoolteachers, more are rice farmers or fishermen. All are persecuted by the Communist government. Trung was in prison for six months before his trial. He saw this as a divine opportunity to preach to the lost. What else could the Communists do to him? He was already in prison! Through his efforts, many have come to Christ in the prison near Quang Ngai. Meanwhile, Christians around the world were alerted to Trung’s situation. Many prayed and wrote letters on his behalf. Because of the pressure put on Vietnamese authorities, Trung was offered an early release. The only problem: The evangelist wasn't ready to leave! 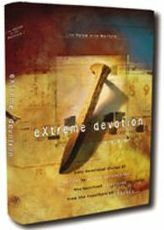 He felt God’s call to stay in prison and disciple his new flock of believers. Trung refused his early release and chose to serve his full sentence. Trung was greatly encouraged when he heard of the many letters written by Christians on his behalf. He knows he is called to be an evangelist in Vietnam – which is a very dangerous occupation. The prayers and letters gave him the strength to continue to be a witness to his fellow inmates for the kingdom of God. My life is worth nothing unless I use it for doing the work assigned me by the Lord Jesus – the work of telling others the Good News about God’s wonderful kindness and love.